He'd be perfect, recast as a Left 4 Dead smoker. 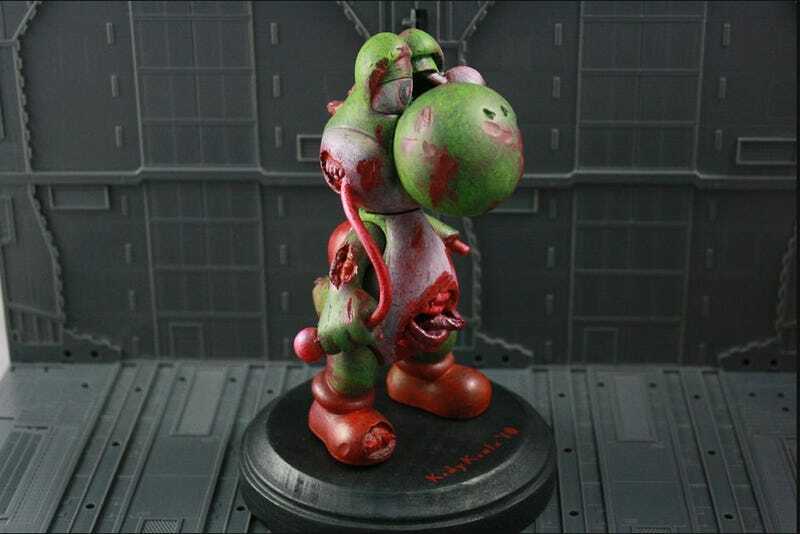 Zombie Yoshi, a six-inch tall custom figurine by artist Kody Koala, whose other work may be seen here and here. This statue sold on eBay for $162.50. Seen via icanhasinternets.